Thinking About Using Fund it? Fund it is an Irish rewards-based all-or-nothing crowdfunding platform, giving everyone the power to make good ideas happen. Crowdfunding is used by early stage projects to generate money and Fund it provides an online platform for creators to pitch their projects and offer Rewards to those who contribute. By receiving average pledges between €50-€100 from a large number of people, Fund it allows you to take advantage of the largely untapped resource of your social network and personal connections. Bank of Ireland have a three-year investment and partnership with Fund it to further its support of Ireland’s entrepreneurs and creative sectors; empowering Fund it to invest in and develop its technology & services. Fund it provides your project with so much more than just money! It provides a low -risk source of funding allowing you to market through campaign publicity. Those who contribute to your campaign are usually much more invested in the project than a normal customer. They are contributing to you and your journey as much as they are purchasing your Rewards. WHAT TYPE OF PROJECTS DO FUND IT WORK WITH? Fund it will only allow campaigns for individual projects i.e. while a charity or cause can raise money they must do so for a particular project as opposed to the charity in general. These projects must have a beginning and an end. Projects cannot be used to fund lifestyles or for ongoing expenses. Projects cannot be involved in anything illegal or offensive to any particular section of society. Projects must have a bank account on the island of Ireland. Projects may not offer financial or equity related Rewards. – A clear budget as spec’d out with your developers/suppliers. – A clear action plan for possible scope creep and commitment to deliver. – A clear timeline for delivery. – A deed of assignment with your developers/suppliers (rights of ownership). Project Creators must be over 18. WHAT MAKES FUND IT SPECIAL? Not all crowdfunding platforms are created equally. Different platforms are suited towards different Projects! Our moderation process. Our in-house experts are experienced, knowledgeable, intelligent and just pleasant people to have a conversation with. Based on our experience, original research and specific knowledge of the Irish market we know how to run successful campaigns. We are likely the right fit for your Project. While other platforms gain publicity from large scale projects that raise millions internationally, this is not the norm. We are the platform tailored towards the 95% of campaigns. Irish based. We are from Ireland, based in Ireland and entirely Irish-centric. We know the market, the mentality of the people and our up to date research is specific to the Irish market. 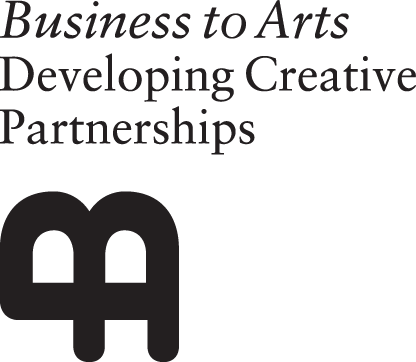 We also directly provide jobs in Ireland and all our profits go towards supporting projects, just like yours, in the Irish cultural sector through our parent companyBusiness to Arts. Our non-profit status. The fact that we are not driven by profit means that we can make decisions on what is best for your Project, not what will get us the most commission. WHAT DOES ALL-OR-NOTHING FUNDING MEAN? All-or-nothing funding means that Fund it obtains card authorization from Funders to debit their account if the given Project reaches its goal. If a Project does not meet its funding goal Fund itwill not debit the card, meaning that your Project will receive nothing. DOES FUND IT CHARGE MONEY FOR THIS SERVICE? Yes. 8%. Fund it charges a commission of 5% to break even on operational expenses and then a further 3% to cover transaction costs. DO I NEED TO HAVE A BANK ACCOUNT FOR THE PROJECT? Yes. To receive the money from a Project you must have a bank account on the island of Ireland. The bank account can be in either Euro or Pound Sterling. You will only need to send this information after Project completion. We recommend Bank of Ireland as preferred partners. WHAT COUNTRIES CAN CONTRIBUTE TO MY CAMPAIGN? Contributions can come from any country in the world. To date we have had pledges come from 66 different countries from 6 of the 7 continents. WHAT ARE THE TAX IMPLICATIONS OF CROWDFUNDING? Tax implications vary from person to person. Transactions associated with your Fund it Project may have to be declared and we therefore recommend you speak to your own accountant for more information. At Fund it we take the safety of Project Creator and Funder data seriously. We use the highest standard of payment systems in Realex payment services. We are fully PCI DSS compliant which is the highest industry standard attainable. We are also supported by Bank of Ireland. WHO IS GOING TO FUND MY PROJECT? Your social network is your most important target group. This includes your immediate close connections and their connections. Promotion work can be most effective when conducted prior to Project launch. Telling your network about your upcoming Project places your campaign in the mind-set of potential Funders from an early stage. Find ambassadors for your Project who will spread the word. More formal communication with Funders should occur closer to the time and during the project. The preparation of email templates in advance is a good way of making communications with your network easier during your campaign. Personalised emails to individuals are the most effective way to bring in pledges, so it’s well worth investing the time. Separately, potential media connections can be made prior to Projects which can allow you to smartly plan the timing of your media releases. HOW MANY FUNDERS WILL I NEED TO REACH MY TARGET? To break this down: The average pledge on Fund it is €57. For example, if your target is €10,000 then €10,000/57= 175 individual pledgers. A more comprehensive guide can be found below based on the data from the last five years. This figure varies by your particular Rewards, Project type, average age of Funders etc., however, for typical Projects the correlation between Project size and number of Funders is unwavering. HOW MUCH MONEY SHOULD I LOOK FOR? Calculate how much money you will need to complete the project. Don’t guess! These should be considered and researched amounts. Don’t be afraid to call suppliers, distributors etc. to allow yourself to make an informed decision. Don’t forget Reward delivery costs. Be sure to account for Fund it’s 8% fees for operational costs and transaction fees. Finally, with accounts not debited until successful project completion there is a 3-4% card decline rate. When this occurs an automatic email is sent to individuals with a link to reorganize payment, however, despite this, a decline rate of 3-4% still exists and should be accounted for. We recommend you allow for an extra 12% cushion on the total funding needed to complete a project to allow for Fund it’s operational costs (5%), transaction fees (3%) and typical card decline rate (3-4%). DO PROJECTS HAVE TO HAVE REWARDS? Yes. Projects have the highest chance of success when accompanied by a series of considered, desirable Rewards. Good Rewards reflect the creativity, passion and energy of the Project. This can often prove the difference between a successful and unsuccessful Project. We make a clear distinction between contributions and donations. We firmly believe that Project Creators should have enough confidence in their Rewards that they should think of it as selling as opposed to seeking donations. WHAT TYPE OF REWARDS SHOULD I OFFER? A well-designed set of Rewards can really help a Project on its way to success. Think about the motivation of your Funders and build your Rewards around this. Rewards should be cost effective. Use your skills and available resources to offer Rewards that have a high value to Funders but little cost to you. These often offer added value goods (e.g. signed copies of books) or experiences (allowing fans to sit in on the band’s recording time) as opposed to monetary value. Rewards should be deliverable. Plan in advance to make sure you deliver what you promised. Rewards should be desirable. While there is an element of goodwill, people want to receive a unique experience or sought after product. You need a range of Rewards and we would suggest 5-8 options to get people involved at different levels. The most common Reward costs are the €25 and €50 Rewards and as such we recommend offering Rewards at these levels. More expensive pledges account for a large portion of the overall value. This stresses the importance of offering attractive Rewards at higher price points. Make a list for yourself of each possible expense for each Reward level and come up with a total. Be very clear in listing what each reward level entails. Including everything from the previous reward level plus something additional is a common approach. Not all Rewards have to be different amounts. If you want to get many pledges at €60 provide a few different €60 Rewards. Look at successful past Projects for inspiration. ARE THERE ANY REWARDS THAT I CANNOT OFFER? Rewards cannot be financially incentivised, this basically means you cannot offer money back, and no equity-, ownership- or securities-based Rewards. You must provide something more than just a thanks. We feel a thanks should come as a standard with any contribution and therefore does not constitute a Reward in its own right. Other than this, barring anything illegal or offensive, you can be as creative as you please when offering Rewards. CAN I PUT A LIMIT ON THE NUMBER OF REWARDS THAT I HAVE? Yes. Creative Rewards are often only feasible in limited numbers and this is perfectly fine. WHAT DURATION SHOULD MY PROJECT BE? Projects can be live on Fund it for between 1 to 11 weeks. Duration is a balance between allowing yourself enough time to raise awareness, and consequentially funding, while avoiding losing momentum. The typical contribution curve is a U with 65% of pledges coming in either the first or last week of Projects. We recommend 4-6 weeks so Funders have time to become aware of the Project, but not so long the middle section becomes stagnant. To give you some kind of guide: The average duration for a Project is 32 days but varies according to project size. Financially larger Projects typically last longer with an average of 40 days. Importantly, there is no correlation between a longer duration and a higher success rate. In fact, some research has suggested that a shorter duration portrays confidence in a Project therefore increasing the likelihood of funding. In addition to allowing an adequate duration for their funding campaign while live on the site, Project Creators should also allow a 2 week period from Project submission until a Project goes live on the site. Projects will also only be accepted where there is sufficient time allocated after the Project deadline for fulfilling Rewards (minimum 4 weeks). Finally, it is worth noting that a significant period is spent planning prior to launching the Project and communicating with Funders about the progress of your Project afterwards. For both of these sections avoid words like ‘help’ and ‘donate’, instead using words like ‘support’ and ‘fund’. The brief description is limited to 180 characters so should be a short description of the Project. This summary will appear on the home page, Project summary and in Project search results. When writing this pay particular attention to the first line. This is the line that will show up on Google previews so ensure it captures people’s attention. Think short, catchy and intriguing. Keep your tone in tune with your personality and the Project. Describe the back story which should explain your journey to the Project, why you are doing it and where your passion for it comes from. How will the money be used? You do not have to give a full budget, only high-level expenditure and goals. End with a clear call to action and a thanks. Your Project image is the first impression that people will get of your Project, it is the image shared on social media and sets the tone for your Project. Draw people in with something eye catching and relevant. Avoid using logos. They are non-informative and boring. The minimum file size is 1mb and the maximum file size is 1.5mb on Fund it . This refers to the size of the file as opposed to the size of the image. Once you have the image as you so desire, most image editors will give you the option to compress the file when saving. Watch other Fund it videos. There are hundreds of these available online and each one can help you decide what you do and don’t like. Show your personal connection to the Project. Your video should invite the viewer along on the journey as well as include a call to action to contribute. Sell the story and yourself, then sell the Project. Only YouTube and Vimeo are supported on the website. With Vimeo offering better functionality we have optimised our site to for Vimeo. You don’t have to hire a full TV crew. A DIY feel can really convey personality in a video. First impressions extend to movie making as well. Make an impression right at the beginning of your video to capture people’s attention. Don’t read off long pre-rehearsed scripts. This can come off as impersonal and disingenuous. Try using bullet points instead, this will help guide you through the main points and keep the tone conversational and engaging. Short sharp segments hold the viewers’ attention better and editing apps make this process much easier than you think. Talking to a webcam and camera lens can feel off-putting and impersonal so try talking to someone standing behind or next to the camera. Music can be used to set the character of the video and therefore the Project. Make sure that you have permission for any music used. Be this your friend’s band or the Beatles, you will need permission. If you do not wish to go through the process of getting permission, there are large online libraries with free to use music available. Setting the video in a location linked to the project can also bring a more personal feel to it. Choose a location that brings the character you want to portray, be this your artist’s studio or the top of Everest. Not only does your video not have to be long, it should be short! The first 30 seconds are the most important. 1 minute which conveys personality and your message is the ideal but a general guide is anything between 30 seconds and 2 minutes. Where possible start and end with a clear invitation for the viewer to contribute. Make sure this invitation tells them what to do and how to do it. DO I HAVE TO MAKE A VIDEO TO RUN A PROJECT? No. You can still list a project without a video, but we do advise this is the best way to engage Funders. CAN YOU GIVE ME ANY EXAMPLES OF GOOD PROJECT VIDEOS? CAN I EDIT MY CAMPAIGN AFTER IT IS LAUNCHED? No. Once your Project has gone live you can’t edit your Project. You can however keep your followers informed through your activity updates. WHAT SORT OF PROMOTION SHOULD I DO FOR MY PROJECT? On average, a Funder will land on your Project page three times before they will actually contribute to your Project. This means that the more promotion you can do for your Project the better. Self-promotion: Tell your friends in the months leading up to the campaign. Post updates on social media or send email blasts. Regular communication: While you do not want to spam your network, research has shown that there is a direct correlation between the frequency of Project updates and higher Project success rates. Finish messages with an invitation to contribute. Let people know that €100 will pay for an hour in the studio, or €50 will pay for 25 cups in the new Café fit-out. This lets people know that their small contribution does make a difference, and it’s much more tangible than the ‘every little helps’ message. People pledge significantly more on weekdays (40%+) than they do on weekend days. On Friday evenings there is a similar drop off in pledge making. The busiest contribution hours are between 11am and 4pm. Below is a breakdown of this pledge pattern that you can use to guide your communications. HOW DOES MY PROJECT GET FEATURED ON THE HOMEPAGE? There are three ways to get featured on the home page. Popular category: Based on algorithms these are Projects with the most contributions in the last week. Recommended this week: Chosen weekly by our Project moderators. Hero image: This is the banner image on the homepage, which is chosen for the quality of the image. During your campaign you will have a section on your page called ‘activity updates’. In this section you can provide news on your campaign progress. These updates email directly to your Funders, keeping them in the loop, and keeping your Project in their mind so they’ll share it with their friends. WILL I BE NOTIFIED WHEN MONEY COMES IN? No. But you can see a live total of your project pledges at any time on your project page. I AM NEARING THE END OF MY PROJECT AND I AM STILL SHORT OF MY TOTAL. WHAT SHOULD I DO? I HAVE JUST BEEN SUCCESSFULLY FUNDED. WHAT NOW? A list of your Funders, their chosen Rewards and email addresses. Detailed instructions on how to communicate with your Funders. A bank details form which must be completed and returned to us. Your Funders will receive an email informing them that your Project was successful, that their card will be debited and that you, the Project Creator, will be in touch shortly to arrange the fulfilment of Rewards. When communicating with your Funders from this list please do note the legal requirements to remain compliant with data privacy legislation. You will receive guidelines on this on Project completion. WHAT HAPPENS IF I HAVE NOT REACHED MY FUNDING TARGET? Funders will not have their cards charged and therefore your Project will not receive any funding. Don’t feel too bad though, unsuccessful Project Creators learn from their mistakes and come back to complete successful Projects. HOW AND WHEN DO I GET THE MONEY IF THE PROJECT IS SUCCESSFUL? It takes three weeks or less for you to receive your money. You will receive an email with details about your Funders, their chosen Rewards, and a bank details form. This form must be returned in hard copy with an original signature. Within three weeks of Project expiration, subject to the receiving of this form, we will transfer the money into your chosen account. CAN PEOPLE STILL CONTRIBUTE TO MY PROJECT/PURCHASE MY REWARDS? No. Your Project will remain on the site, but this is for viewing purposes only. This is the most important aspect in ensuring a positive, engaging experience for your Funders. There are a few ways in which Project Creators can help with this process. Regular communication: Reward delivery times can vary so maintaining regular communication with your Funders is essencial. You can do this by email or through the ‘activity update’ section of your Project profile, which will remain active indefinitely. Involve your Funders in the creative process. Give them detailed updates of how the Project is progressing. This can feel like back stage access which really enhances the feeling of involvement for Funders. HOW SOON CAN I CROWDFUND AGAIN? Once all of your Rewards have been successfully delivered. Your previous Funders will be your biggest supporters, so make sure they have an amazing experience! Just visit fundit.ie and click the Submit button. The submission form will guide you through, with hints and tips along the way. After you submit your Project, our moderation team will be in touch to help in every way they can, and together we will launch your perfect project! Got a question? Check our Frequently Asked Questions or contact us.